White House strategist Steve Bannon's hostility toward the press was on full display at the Conservative Political Action Conference on Thursday, repeatedly referring to the news media as "the opposition party." "They're corporatist, globalist media that are adamantly opposed to an economic nationalist agenda," Bannon said on stage at the Gaylord National Resort & Convention Center. The media, Bannon asserted, is "going to get worse everyday." Bannon appeared at the conference alongside White House chief of staff Reince Priebus and American Conservative Union president Matt Schlapp, who moderated the discussion. 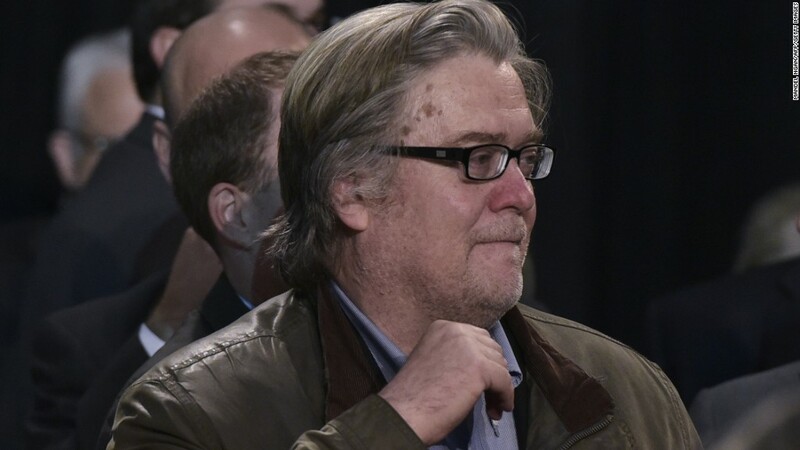 The joint appearance came on the heels of several reports suggesting friction between Bannon, the former chairman of the right-wing website Breitbart News, and Preibus, the former chairman of the Republican National Committee. They both dismissed those reports emphatically at CPAC on Thursday. "If you look at the opposition party," Bannon said referring to the media, "and how they portray the campaign, how they portrayed the transition, and how they are portraying the administration, it's always wrong. Just like they were dead wrong on the chaos of the campaign, and just like they were dead wrong on the chaos of the transition, they are absolutely dead wrong about what's going on today." President Donald Trump's first month in office has been typified by his ongoing anatgonism toward the press. Bannon has clearly influenced that tenor, consistently referring the media as "the opposition party" -- a term that has been adopted by Trump. On Thursday, Bannon seemed to go out of his way to invoke the label. Shortly after taking the stage, Schlapp pointed to the back of the ballroom, where members of the media had gathered to cover the event. "Is that the opposition party?" Bannon asked. A bit later in the program, Bannon again wielded the term. "President Trump, when he was running -- and this is the other thing that the mainstream media, or the opposition party, never caught," Bannon said. "If you want to see the Trump agenda, it's very simple. It's all in the speeches."